posted February 09, 2016 04:10 PM bonus applied by VokialBG on 09 Mar 2016. Edited by dredknight at 14:45, 10 Nov 2018. This is the official dev page for the HMM55 manual. Here you can share ideas for new features, register bugs or discuss code architecture. - MMH55 index - displays the main areas modified by MMH55. - Creature index - overview of all official in-game faction and neutral units, their stats and abilities. 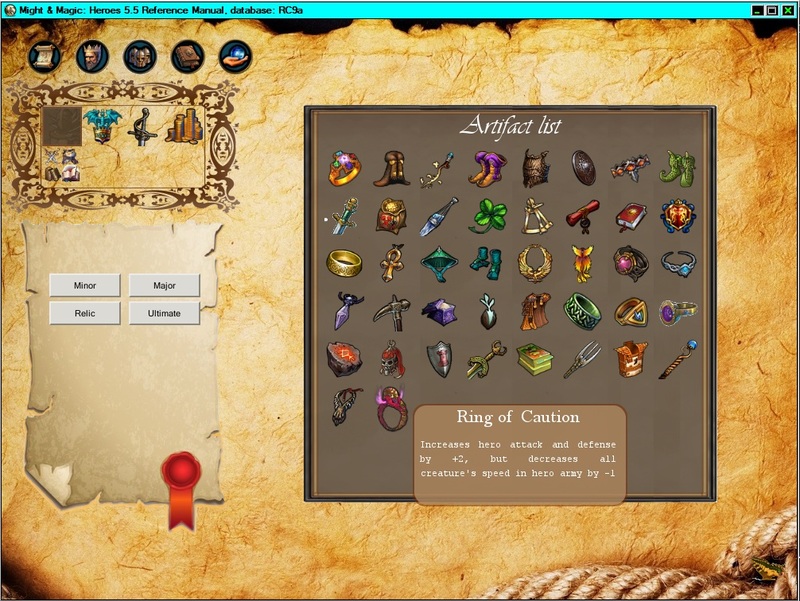 - Artifact index - List of artifacts with abilities to be filtered by type or price. - Database includes all changes up to RC10 beta4. Q: How to translate the wheel? A: Currently the latest installment (RC10 beta 4 v1.1) is available in English and Russian. Translation guide to come soon. Nice, I'm curious to see what will become of this. Sounds like a fantastic idea! All the best on your work dredknight! 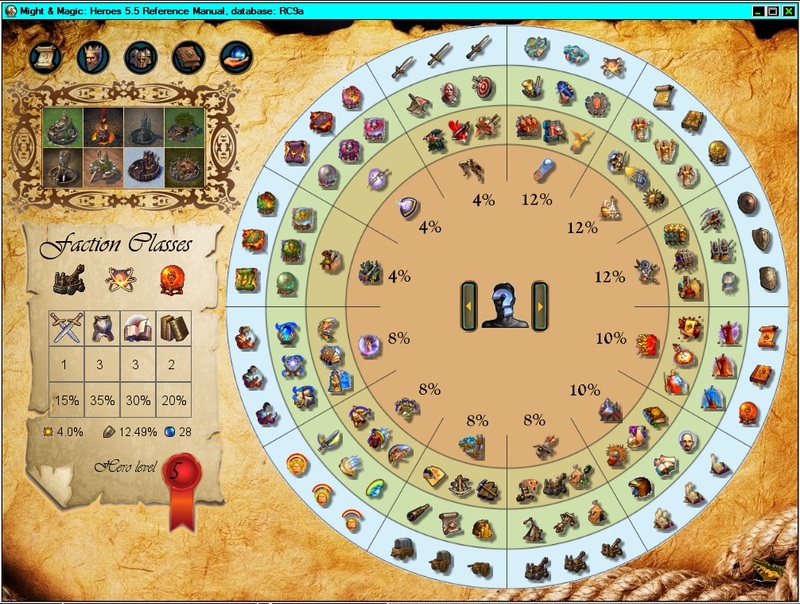 I had a similar idea, I wanted to make a hero designer with an inbuilt skill wheel designer. However I lost interest after a while and now it is just a code mess. I was hoping you would use Java, then you could at least use my xml parser. Edited by dredknight at 16:11, 10 Feb 2016. @Deflaktor I just dont have any knowledge in java plus the language is considered dying. It seems you really went quite some into the thing though. I prefer ruby cause it is OO language and it fits better to my style of thinking. On the other hand my ruby skills are limited and I try to improve that by learning how to cope with challenges for the software. My first step will be to reach some alpha version where one will select Heroes classes and will be presented with Primary skill stats + chances, Secondary skills + chances. The I will have to think of design for presentation of the tree cause heroes 5.5 has a bunch more skills than heroes V due to the class architecture. I have updated the screenshot as the earlier one was from an older build. Either way, Im glad you are tackling the problem. 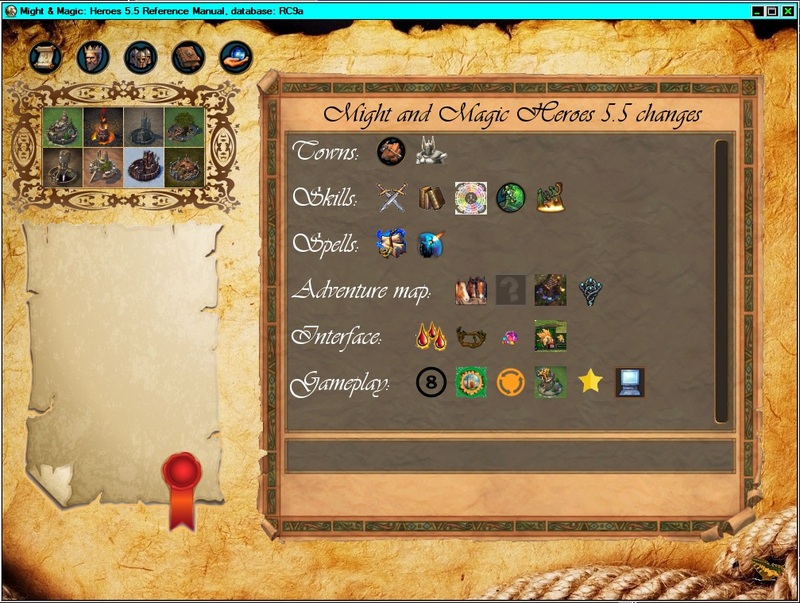 To be honest, I have never really played MMH5.5, only took a few glances at it. Even though it brings a bunch of amazing features, what keeps me off it is that it still looks too complicated. I got comfortable with Heroes 5 and the ingame skillwheel and it would make me reconsider to try MMH5.5 if there was also an ingame skillwheel. However, what is also keeping me off are the simple things like artifact sets not working properly (I know its not magnus' fault) or the stats not updated when artifacts are placed. I might consider to try and fix this with assembly hacks, however they would probably be way too complicated. Just get your hands on that EXE file and rip it apart . Could you clarify: is this only for creating an external skillwheel, or do you also want to make it ingame? 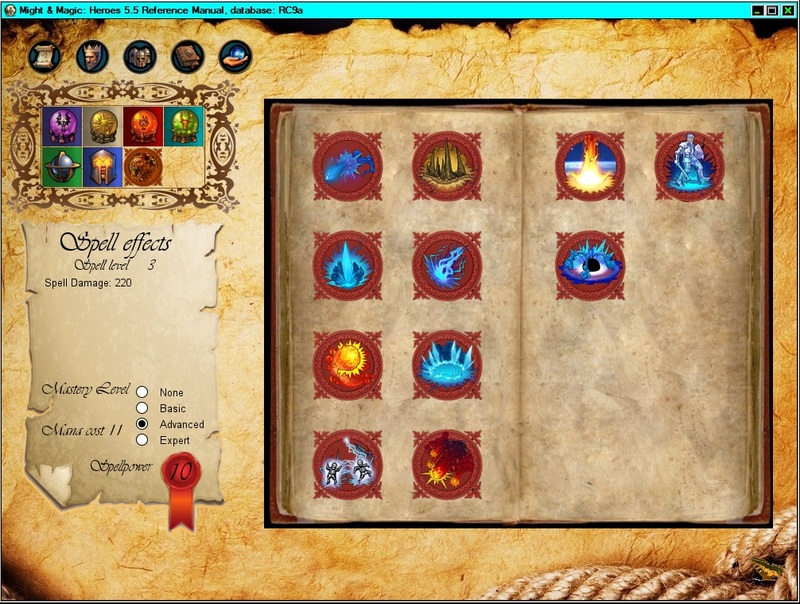 On a side note I'm 99% sure the ingame skillwheel mod was made with help of Nival and a UI tool was provided. This is why the ingame skilltree from H5.5 is static and cannot provide 24 similar wheels with mouse hover description, the internal complexity is insane. It wont be ingame. Just external GUI. Ebedding things in the game is completely out of my reach. 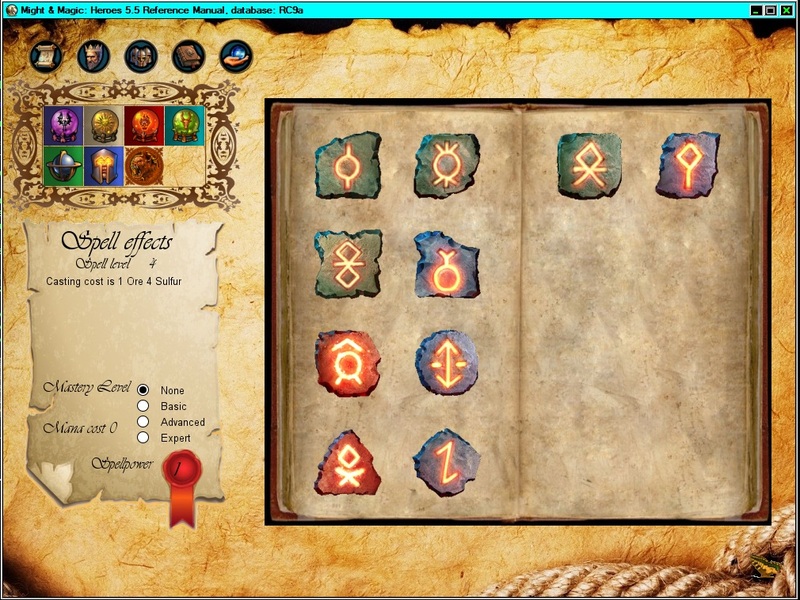 But if you know where this mod for the ingame skillwheel is, it may be handy. Edited by Deflaktor at 14:31, 11 Feb 2016.
oh okay, I was thinking you would create it ingame. I had in mind to make a gui which allows to design the skillwheel and then export it to a mod, corresponding to how Doc_Skills_3_0_3.h5u is made. the UI mod you shared is awesome but I have zero idea how to edit it. By design you mean visual design and then editing the images and replacing text and button positions? or you mean making a codded software which to embed in-game somehow? Anyway, good job and good luck with the skill wheel. By design you mean visual design and then editing the images and replacing text and button positions? Any idea where I can get skill and perk icons with high and transparent background? I have been playing with the one from the UI folder of Magnomagus but when I make the background colour transparent some pixels from the image also become transparent. when I make the background colour transparent some pixels from the image also become transparent. because these areas are black on the alpha channel? Edited by dredknight at 22:19, 21 May 2016. Some alpha screens and first design concept. Basically I tried a lot of designs on paper but so far only two of them were visually pleasant. - HoMM55 boxes - the number of skills per class is really cumbersome for native skillwheel so this one seems quite nice. 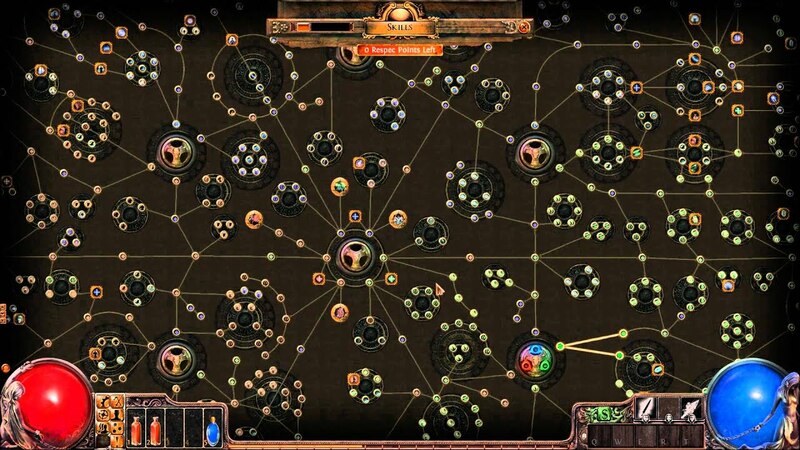 - Global skillpath(Path of Exile) - If anyone has played path of Exile, you know the uniqeness of the wheel is one in a lifetime. Basically there they have one tree page but each class starts from different end of the tree and must follow the path. The idea is to make something similar for H5 but with the difference that skills will be arranged in zones, for example skills and perks that give damage will be in one zone called "damage" (attack, combat, battle frenzy, Retribution). Skills that give range capabilities (archery, ballista, triple ballista, Catapult, Brimstone rain etc..) will be in another zone called "Range". Same goes for the defense, utility, magic etc.. This presentation will be nice but will be harder to make because there are some skills which are just for specific classes (Avenger, Runelore etc..). - Classic skill wheel - You know what it is. Basically the same just much larger because of the count of skills.